Sharing your thoughts with your Senators or Representative on a routine basis will keep FCCLA in the front of their minds. By using advocacy as a tool, we can influence legislators to continue and improve successful programs. Social media advocacy is one of the quickest and simplest ways to spread the DUID message. You can share about the benefits of your FCCLA program, activities you are involved in, or your thoughts on key policy issues. You can even post pictures to illustrate your points. Be personal. Share your story through your own voice instead of “broadcasting” the message. Let your messages reflect your personality, use humor, and be transparent about who is posting messages. The goal should be to become a credible source. Keep your eye on the goal. Refrain from posting personal attacks or negative comments about anyone. Straying away from your core message and facts will cause the community to lose trust in you and diminish the attention your social media presence receives from your followers, policymakers and media. Facts not fiction. Staying credible means sharing quality information and refraining from posting exaggerated or false information about your program. Be social. Conversation is a two-way street even online. Join topics and discussions with other people and organizations. The more you engage your community and policymakers, the more the message moves forward. Ask questions. 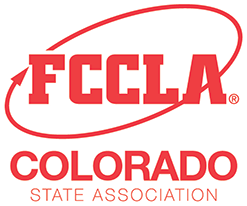 If you have a question about engaging in social media advocacy, please feel free to reach out to Colorado FCCLA with any questions you may have before engaging policy makers. Twitter: Share your story in 140 characters or less, and be sure to include hashtag #KnockoutDUID and #COFCCLA. Facebook: Write your story on your legislator’s Facebook wall. You can also post it on the Colorado FCCLA page or post on your own wall/status. Blog: Create and share your experiences on your own blog; send policymakers the link. Video: Create a video about your program, post it to YouTube and share it through Twitter or Facebook. Find your Senators’ and Representative’s contact information and take a look at the tips for using Facebook and Twitter below to make your social media advocacy as effective as possible! Share information about preventing drugged driving in 140 characters or less. Link to press releases, photos or other information to provide more information. Tweet directly to your policymaker or members of the media to make sure your message is seen by the intended audience. Tweet the action you want your legislators to take. Post a short story on your Facebook page. Share your posts on your legislator’s Facebook page and on the Colorado FCCLA Facebook page. Ask your followers to share your content through Facebook. Share content from the Colorado FCCLA Facebook page. Ensure your posts use proper spelling and grammar so your point is clear. Use photos when posting to Facebook whenever possible. Did you know that MARIJUANA affects reaction time and perception of distance when driving? Help us #knockoutDUID! 1 in 8 high school seniors admitted to driving under the influence of cannabis in the two weeks. Please support stricter laws for DUID!